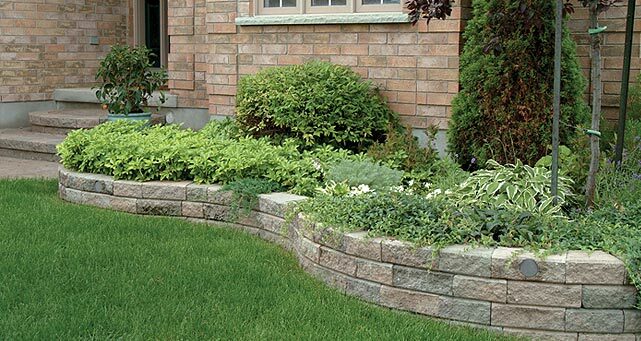 The Wedgestone/Wallstone retaining wall system is designed landscaping versatility and wall strength. Used alone or in combination, this retaining wall system can be used to create straight or curved walls. 100% of Wedge Units are rock-faced on both sides, making them fully reversible for inside and outside curves for flexible garden wall solutions.